This is the 16th post in a series called Ask The Nice Guy. In this series I will attempt to provide answers to the various questions I get asked throughout the week. What’s inside? Here are the questions answered in this blog post, boiled down to five word (or less) summaries. QUESTION 1: Which Portable Battery Pack Would You Recommend? A portable battery pack can be a great buy for people who travel and want to make sure that they don't find themselves in a position where they can't use their device because they forgot to charge it the night before and now you have a four hour wait at the airport (outlets at airports are always at a premium). Based on my research I would recommend the Satechi 10000 MaH Portable Energy Station Extended Battery Charger Pack. It costs around $60 and should work with most gadgets out there (not laptops). It has two USB ports on it so you can charge your smart phone and another device at the same time. At a full charge the Satechi should be able to fully charge an iPhone 5 six times and have a little juice leftover. QUESTION 2: How Does Texting Work From The iPad? The iPhone & iPad both have an app called Messages. The Messages app on the iPhone is capable of sending traditional text messages (SMS/MMS) while the Messages app on the iPad is not capable of sending traditional text messages (SMS/MMS). The Messages app on the iPhone & iPad can send iMessages. iMessages can only be sent to other Apple devices (iPhone, iPad, iPod Touch, Macs). The reason you are able to "text" some people from your iPad is due to the fact that the iPad can send an iMessage to people you know that have an iPhone and/or iPad and have also registered their phone number or email address with iMessage. QUESTION 3: SELLING OLD SMARTPHONE? You can always sell used items on Craiglist and eBay. I am going to recommend a couple websites that are dedicated to either purchasing your used smartphone (Gazelle) or helping you sell your used smartphone to another buyer (Swappa). Gazelle makes it really easy to sell your used smartphone. If you aren't selling one of the more popular phones (iPhone, Galaxy S3, Galaxy S4) you may not be offered a very good price though. If you like our offer just complete the checkout process and tell us how you'd like to get paid: Check, PayPal or Amazon.com gift card. Shipping is FREE! We'll even send you a box for qualified orders (small electronics over $30.00). Our offer is good for 30 days but the faster you send it in, the quicker you'll get paid. Swappa allows you to list and sell your smartphone on a site dedicated for buyers and sellers of smartphones. No seller fees! Swappa does not charge listing or insertion fees. Buyer pays a flat "sale fee" only when listing sells. Get paid faster. A listing is not considered sold until the buyer pays. Our support staff are experienced mobile users. We are actually helpful and appreciate your business. Just mobile devices... Swappa is easy to use because it's just for buying and selling mobile devices. We use PayPal too, so you are protected. This is the 15th post in a series called Ask The Nice Guy. In this series I will attempt to provide answers to the various questions I get asked throughout the week. QUESTION 1: Upgrade To Mavericks? I am a proponent of keeping your tech gear up to date with the latest software. Generally, my answer is that yes you should upgrade to the latest version. I would be remiss if I didn't throw out a few bits of caution. If you have older apps on your Mac, you may find upgrading to a new operating system may cause those older apps to stop functioning. This happens because Apple removes old technology from new operating systems to make things work better but it can cause apps that relied on that old technology to no longer work. The odds are slim, but you should ALWAYS have a current backup of your computer before performing any operating sytems upgrade. THERE ARE SOME BENEFITS TO KEEPING UP TO DATE. Apple is constantly improving the security of the software that runs your devices. With Mavericks, Apple has increased security by sandboxing more of the Apple apps and various plugins. They have made other improvements to make your Mac more secure as well. Learn more about Mavericks Security features. New software will often require the newest version of the operating system. I think it is much harder for people to adjust to the various changes to software if they skip multiple versions. A client of mine in Northfield had Tiger (10.4) installed on their iMac and that particular computer "died". They purchased a new iMac and it came with Mountain Lion (10.8). The amount of changes was signficant and it took them awhile to adjust. Had they upgraded to each new version as it came out there would have been much less to adjust to each time and the transition to Mountain Lion would have been less jarring. QUESTION 2: Microsoft Support for Windows XP? It is true that Microsoft is ending support for Windows XP in April 2014. As a result, after April 8, 2014, technical assistance for Windows XP will no longer be available, including automatic updates that help protect your PC. Microsoft will also stop providing Microsoft Security Essentials for download on Windows XP on this date. If you continue to use Windows XP after support ends, your computer will still work but it might become more vulnerable to security risks and viruses. Also, as more software and hardware manufacturers continue to optimize for more recent versions of Windows, you can expect to encounter greater numbers of apps and devices that do not work with Windows XP. In my professional opinion, anyone running Windows XP should either upgrade to a newer version of Windows or purchase a new computer. Windows XP came out in the fall of 2001 and is ancient in the world of technology. Windows XP is much more likely to get infected with viruses and malware than Windows 7 or Windows 8. QUESTION 3: APP STUCK IN PORTRAIT? If your iPad is rotating the screen depending on how you hold the iPad and seems "stuck" on a particular app, it may be because that app won't rotate. Many games will only work in landscape mode. There is nothing wrong with your iPad in this case. This is the 14th post in a series called Ask The Nice Guy. In this series I will attempt to provide answers to the various questions I get asked throughout the week. QUESTION 1: Scary Email - Am I Safe? Last week I sent out a newsletter alerting you all of the Crypto Locker Virus that is spreading like wildfire. I’m sending out an email this time because it’s important I alert my clients of this once again. There are various viruses that will do what is described in the email. They are called "ransomware" because they take your computer as a hostage and demands a ransom payment to unlock your computer. This is a very aggressive form of malware and can be challenging to remove. I just helped a client a few weeks ago that had a laptop taken over by this kind of malware. I was able to get the laptop functional again but we lost everything that was on the laptop. In theory some of the paid anti-virus software may do a better job than the free Microsoft Security Essentials. There is no guarantee though and in this situation I am guessing that the client had clicked on an attachment from someone they didn't know and ended up downloading and installing the malware onto their computer. It will disable the antivirus at that point and take over your machine. Don't open attachements from people you don't know. If you do know who sent it, double check with them to make sure that it was really them who sent it. This is not necessary if you were expecting an attachement from someone you know. Don't download music, movies, television shows, or applications illegally. This is another common way to infect your computer. The music, movie, and television industry does not give their stuff away for free. If you are obtaining this kind of media for free you are breaking the law and opening your computer up to attack. Pay attention when you are installing software. Some programs attempt to install malware as a part of their own installation process. When installing software, pay close attention to the message boxes before clicking Next, OK, or I Agree. QUESTION 2: WHICH IPAD MINI TO BUY? I would buy the iPad mini with Retina display (available later in November) or perhaps the iPad Air (available November 1st). The iPad Air is smaller than the large screen iPad that most people have and yet offers a bigger screen than the iPad mini. To use the iPad on the internet in the car along with GPS you would need to purchase the iPad with Wi-Fi + Cellular. You will have to pick a cell phone carrier (AT&T, Sprint, T-Mobile, or Verizon) and make sure that you purchase the iPad for that specific carrier. You do not need to pick the same carrier that you have your cell phone through because it is billed separately (one month at a time to your credit or debit card). There will be a small monthly fee for the ability to access the internet through the cell phone carrier. I would choose the carrier that gets the best reception where you would use the iPad most frequently. I have heard that Verizon and AT&T generally have the best coverage across the country. I have T-Mobile on my iPhone 5S and it works great in the Twin Cities but was spotty on my recent road trip to Fargo. I would stick with the 16GB or 32GB variety. Hope that helps! I just bought the iPad Air and I have been very happy with it. I would recommend the Epson Workforce WF-3520. The reviews are positive and is priced reasonably. I have many clients that have purchased this printer and I have heard positive feedback from them. If I was looking to purchase a new AirPrint compatiable printer this is the one that I would buy. This is the 13th post in a series called Ask The Nice Guy. In this series I will attempt to provide answers to the various questions I get asked throughout the week. QUESTION 1: Questions About GPS Enabled Cameras? The Photo app that comes with the iPad has the ability to show where a photo was taken if GPS data is present in the photo. On the Mac, iPhoto 09 and iPhoto 11 also have the GPS functionality built in. You will find the map with your photos displayed by tapping or clicking on Places. You can view your photos on a map in iPhoto by clicking on Places. I am not a camera expert and I don't consider photography a hobby. I simply like to take pictures at family gatherings and while on vacation. A few years ago, I purchased a Panasonic Lumix DMC-ZS7 and I have been very happy with it. Panasonic no longer makes this particular camera, but they do make a newer version of it. The Panasonic Lumix DMC-ZS30K has a 20X optical zoom and built in GPS. This is what I would purchase if I was looking to replace my current camera with another one that offers GPS functionality. During the 2012-2013 school year I offered three primary iPad classes offering a total of six hours of class time. Have questions about your iPad or iPad mini? Join this workshop to get the answers you need. You’ll learn about the hardware and accessories, how to download and organize Apps, how to sync music & photos from your computer and tips for getting the most out of Safari. Bring iPad or iPad mini to class. Do you want to go further with your iPad or iPad mini? In this class, you will learn how to use advanced multi-touch gestures, keyboard shortcuts, and how to copy & paste. We will discuss how to take full advantage of iCloud, and tips for getting the most out of Mail. Bring iPad or iPad mini to class. You won't want to miss this class where we are we will discuss features like AirPlay, FaceTime, GameCenter, iMessage, Newstand, and Notification Center. We will explore the world of e-books and spend time discovering how to get the most out of Siri. You will also hear about some of Mike's favorite apps. During the 2013-2013 school year I will be offering four primary iPad classes offering a total of eight hours of class time. One thing that I am trying to do a bit different this year is focus on teaching a set number of skills in each class. I have heard from many students from last year that they plan on taking the courses over this year so that they can get a refresher on what they have already learned and to stay up to date with the new software (iOS 7 comes out sometime in Fall 2013 and will change the way things look and work). Have questions about your iPad or iPad Mini? Join this class to get the answers you need. Learn about the hardware, accessories, Lock Screen, Home Screen, and the App Store. Bring your iPad or iPad mini to class. This class will be very similar to Getting Started With Your iPad. It is a great first class for anyone who is new to the iPad. Even students who have owned an iPad for a year have got a ton out of this class! Learn how to get the most out of Mail, Contacts, Calendar, Reminders, and iCloud. iCloud allows you to sync information, share photos, locate your device, and backup your iPad. Bring your iPad or iPad mini to class. This class has a ton of brand new content. There will be a little overlap with Going Further With Your iPad (iCloud & Mail). We will dig into some topics never covered before in any of my classes (Contacts, Calendars, and Reminders). I would encourage anyone who took the classes last year to take this class. Join this class to learn how to get the most out of Safari, Siri, and Maps. You will learn how to use multi-touch gestures, spell check, copy and paste, and other neat tricks as well! Bring your iPad or iPad mini to class. This class has a little overlap from Getting Started With Your iPad and Going Further With Your iPad. We will also discuss the Maps app. My plan is to do a deeper dive on Safari than in Getting Started With Your iPad since Safari is one of the most used apps on the iPad. This class is all about Photos, Music, Videos, and E-Books. Mike will show you how to: sync photos and music from your computer, purchase media from iTunes, use AirPlay, download e-books, and get the most out of the Photos app. Bring your iPad or iPad mini to class. This class will have a little overlap from Above & Beyond With Your iPad. This should be a neat class as we will be focusing on fun stuff (Music, Movies, TV Shows, Audiobooks, E-Books). I know most people didn't buy their iPad to do work on it all day! QUESTION 3: Inverted Colors On iPad? This is what your iPad looks like if the colors get inverted. Turn the switch for Invert Colors to off. This is the 12th post in a series called Ask The Nice Guy. In this series I will attempt to provide answers to the various questions I get asked throughout the week. QUESTION 1: Should I Purchase MacKeeper? MacKeeper is a suite of applications that promise to keep your Mac secure, clean, and running fast. I wouldn't recommend it to my clients. Most of the the applications that come with MacKeeper duplicate functionality built in to your Mac. The Mac was designed to handle most of these tasks just fine on its own. I rarely get a call from a Mac user asking me to come out and "clean up" their Mac, but find myself receiving those calls on a regular basis from PC users. I would advise saving your money by not purchasing MacKeeper. I have heard from numerous people that have downloaded it that it caused more issues than it was worth. QUESTION 2: iPad mini and Retina Display? I intend to replace my iPad with an iPad mini and was waiting for the next generation with the Retina Display. It is hard to say what Apple will do when it comes to the next iPad mini. It might not be technically feasible to get the size, weight, battery life combination that they are looking for in the iPad mini while adding a Retina Display. I have used Britta's iPad mini and while I do like the size of it, I am spoiled with the Retina Display on my iPad and iPhone and everything looks incredibly blurry on the iPad mini. I think the Retina Display makes a huge difference especially when you have experienced it on previous devices. I would recommend waiting until early fall to see what Apple comes out with. It sounds like the full size iPad will find itself shrinking a bit while still maintaining the same size screen. I think that will be an attractive product and Apple may just surprise us with a Retina Display on the mini. QUESTION 3: Find My iPhone? Try watching this video! I think it covers the subject fairly well. Yes, if you lost your iPhone you could have your daughter login to your iCloud account in the Find My iPhone app on her iPhone. There is no distance factor. This is the 11th post in a series called Ask The Nice Guy. In this series I will attempt to provide answers to the various questions I get asked throughout the week. QUESTION 1: Improving Quality Of Photos Taken With iPad? My guess is that you have an iPad 2. If that is the case there is not much you can do to improve the quality of your photos due to the camera itself. The rear camera on the iPad 2 is less than 1 megapixel. When you combine this with a small lens you end up with subpar photos. The rear camera on the iPad 3, iPad 4, and iPad mini is 5 megapixels. The higher megapixel count on these models allow for better photos. Because the iPad is larger than your typical digital camera, it can be more challenging to keep steady than a smaller device. You may want to prop the iPad against something or use both hands to hold the iPad steady while someone else taps the screen to take the photo. The lens for the iPad's camera is quite small so it can't let in as much light as dedicated digital cameras. If you attempt to take a photo with the iPad in a poorly lit room you will not be happy with the results. Make sure that there is plenty of light and you will end up with better photos. QUESTION 2: FedEx Email A Scam? Note: This was a question I got back in December before I was doing the Ask The Nice Guy blog series. Yes! This is a very popular scam. If you clicked on the attachment your computer might have been infected with a virus. People are ordering so much stuff online these days that they often fall for this ploy. If FedEx could not deliver something to your house they will leave a door tag on your front door with information and instructions regarding the package delivery. If you actually were expecting a package you can always go to FedEx.com and type in your tracking number. If you receive an email that doesn't seem quite right, it probably isn't. I receive emails like this all the time and I just delete them. QUESTION 3: Time Machine Not Backing Up? If you are receiving a message that Time Machine has not backed up in so many days it is most likely because the external hard drive that it is backing up to is not connected properly to the computer. Plug the external hard drive back into the Mac and click on the little Time Machine menu bar icon in the upper right corner of your Mac. You can then click Back Up Now and initiate a Time Machine backup. This problem is quite common. Many times the external hard drive will get nudged or a kid will yank the cord out from the back of the computer. This disconnects the drive from the Mac and it no longer backs up! This is the 9th post in a series called Ask The Nice Guy. In this series I will attempt to provide answers to the various questions I get asked throughout the week. QUESTION 1: How To Get More USB Ports? If you find yourself running low on USB ports you can purchase a USB hub. 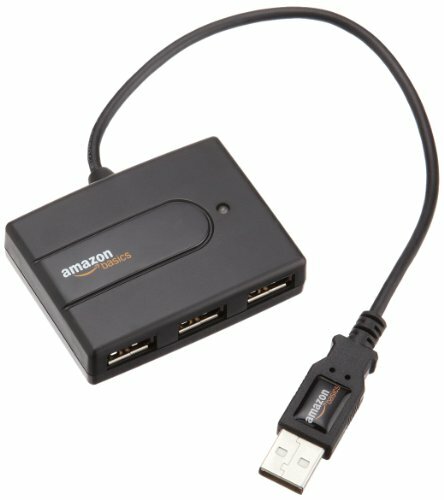 I would recommend the AmazonBasics USB 2.0 4-Port Ultra Mini Hub because it won't take up too much space on your desk and it cost less than $10. It will give you three additional USB ports. QUESTION 2: GPS App For iPad? There are numerous apps available on the iPad that could provide turn by turn directions like a dedicated GPS device. If your iPad or iPad mini has an active cellular connection (most iPads do not), then I would recommend you download Waze. It will provide complete voice-guided navigation. If you have a Wi-Fi only iPad (most iPads are Wi-Fi only), then you will need to go a different route (pun intended). You will need to download an app that has the ability to download map data directly to the iPad since you won't have an internet connection while in the vehicle. I would recommend CoPilot Live Premium HD USA - Offline GPS Navigation & Maps. The app costs $12.99. You will also need to have a GPS adapter for your iPad. I would recommend the Dual Electronics XGPS150 Universal Bluetooth GPS Receiver. It costs $99. So, if you have an iPad or iPad mini with a cellular connection it won't cost you anything to get turn by turn directions. If you don't have a cellular connection on your iPad, you will be spending approximately $113 to get everything setup. You could purchase a nice TomTom for less than the cost to get your non cellular iPad setup for GPS. 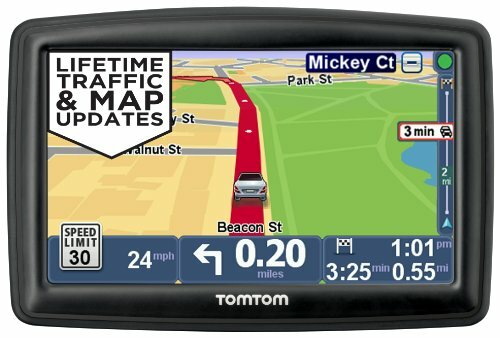 If you want to go that route, I would recommend the TomTom START 45TM 4.3-Inch GPS Navigator with Lifetime Traffic & Maps and Roadside Assistance. QUESTION 3: Do I Have Extended Warranty On My iPad? I would recommend that you check the receipt! There is a chance that they purchased the iPad at Target, Best Buy, or other retailer and purchased a non Apple warranty. If that is the case you will have to deal with the company that sold you the non Apple warranty for any repairs or issues after the first year warranty is over. If the receipt shows that they purchased AppleCare you should contact Apple Care by calling 1-800-275-2273 and they can help get things straightened out. If you want to learn how to check the warranty status of your Apple device check out my blog post title, 30 SECOND TIPS - CHECK WARRANTY (APPLE).